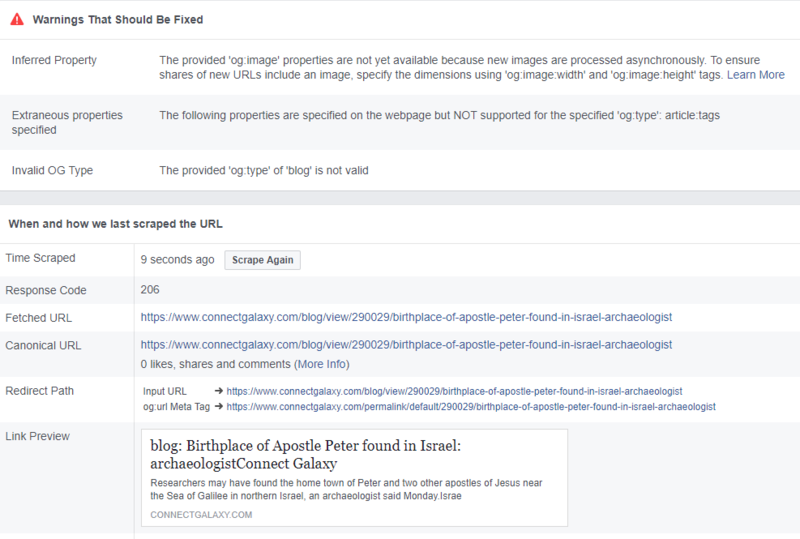 Blog scrapper in facebook through error.. Image does not display & the heading is also not proper.. When i try to use facebook debugger i get the following error.. How do i fix it ..